Wings ring band and rose bloom. Wings ring default scale: 26.8 x 18.4 x 33 millimeters. Rose Bloom default scale: 44 x 65 x 40 millimeters. Please scale to your need. Printed photos: printed with QIDI X-One2. 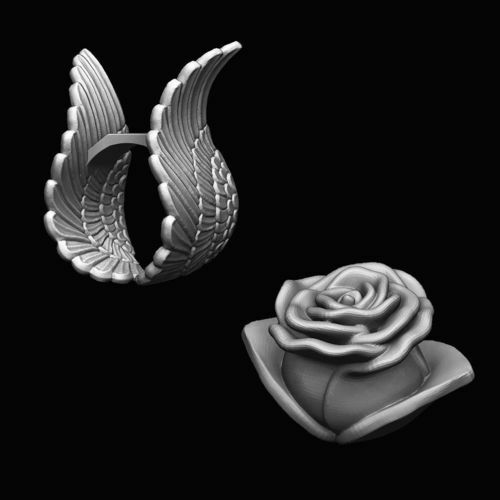 Rose bloom at default scale, wings ring at 1.5x scale.